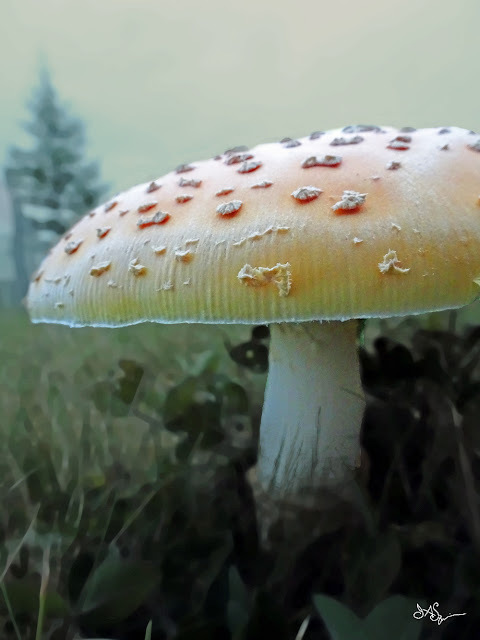 Amanita muscaria var guessowii Newfoundland, Canada. The mushroom of fairy tales...Ah the many mysteries of these fungi. that open a gate between other worlds. Wait, and listen...You may just catch a glimpse of the gnome or the faerie.